You can treat your own clothes with permethrin, at home, using a spray from a company like Sawyer. According to that company’s marketing materials, this treatment typically lasts up to six weeks (or six washes). 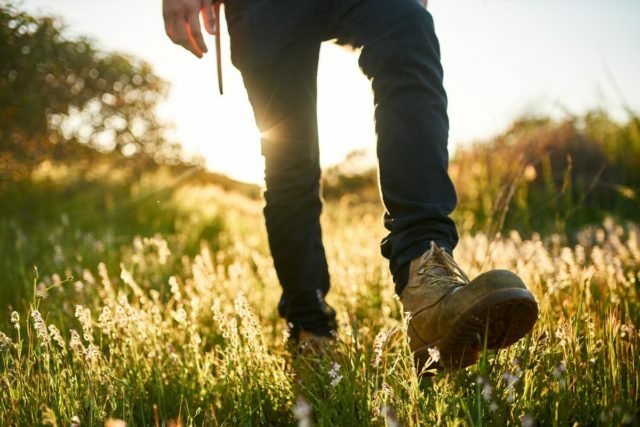 However, to be on the safe side, consider re-applying permethrin to any clothing and gear that you wear or use and wash regularly about once per month. Taking the time to spray your clothes will go a long way in preventing tick exposure! Additionally, remember that the clothes and gear (except hats) must be treated both inside and out. According to Sawyer, the EPA has required them to warn against treating the inside of a hat with permethrin in an effort to lessen the chance of a person’s nose, mouth, or ear canals coming into contact with the substance. This requirement could be based on the fact that, while home treatment bonds permethrin to the fabric, that bond is not as tight as a factory treatment. This also can explain why the home treatment washes out in six washings versus nearly 70 washings for factory-treated clothing. Always follow the manufacturer’s recommendations on the product label. Never apply permethrin to skin, because it can cause irritation and it is not as long lasting and effective against ticks on skin as it is when bonded to fabric. Always apply permethrin in a well-ventilated area (preferably, outdoors) that is protected from the wind to lessen your chances of accidentally breathing or ingesting the substance while spraying. Never apply permethrin to any item of clothing while you are wearing it. Always allow your clothes or gear to completely dry before using. Never allow cats near permethrin-treated clothing until it is completely dry. Always wash your hands with soap and water immediately after apply permethrin to clothing or gear. Never spray gear in area that is close to water sources or flowers, because wet permethrin is extremely toxic to both aquatic life and beneficial insects (e.g. bees). Headwear – hats (outside only), bandanas, etc. A good rule of thumb is to treat anything that could possibly be connected to the ground, because a tick’s favorite habitat is in leaf litter and in grass or brush that is up to three feet tall. Ticks do not fly, leap, or fall from trees. So, it is equally important to treat any item that actually sits directly on the ground (e.g. tents and sleeping bags), as well as items that could catch ticks when you touch tall grass or other brush in passing. If a tick can attach to it or climb on it, then it should be treated with permethrin.